Last month I alluded to the fact that I had some exciting news to share with all of you. I apologize for the delay in sharing and for my absence from the blogosphere but life sometimes has other plans for us. Last May, when I returned from my Spain trip, there was an email waiting for me from a gallery here in Toronto who had seen my work on Instagram. They wanted to know if I would be interested to come in and have a portfolio review with the gallery owner. Hmmmm….let me think for a moment….YES. I met with gallery owner and curator Elaine Fleck for my portfolio review and received valuable feedback. Elaine was particularly interested in my Subway Tableau series. The Elaine Fleck Gallery showcases emerging artists twice a year and I’m so excited to tell you that I was offered the opportunity to be a part of the fall catalogue and group exhibit. The opening night reception took place on September 20th and it was a wonderful experience. I am humbled to have been a part of the exhibit and especially to be amongst the high caliber of artists and artworks exhibited. Finn is ready to celebrate his first Passover and wanted to wish you all a Happy Passover and a Happy Easter! I had the pleasure of meeting photographer Andrew McLachlan last year during a workshop. Denise Ippolito was leading workshops and presenting at my club, The Toronto Digital Photography Club. Denise and Andrew had co-wrote a book and she had invited him to join the workshop. It was our good fortunate that she did because this Tuesday Andrew will be presenting to the club. It you’re in the Toronto area you may want to drop by and if you’re not then check out Andrew’s site, his beautiful photography and his awesome e-books. 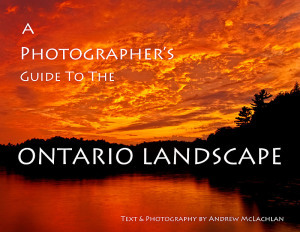 I am looking forward to presenting “A Photographer’s Guide to the Ontario Landscape” on Tuesday April 14th to the Toronto Digital Photography Club. The presentation will be starting at 7:30 p.m. at the Edithvale Community Centre located at 131 Finch Ave West in Toronto. As usual, I will be offering copies of my eBook (on CD) to those in attendance, at the presentation special of $20 CDN. 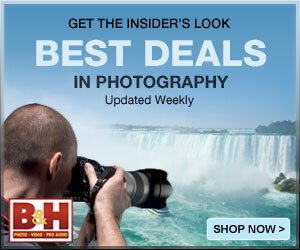 With Thanksgiving coming up in the U.S. this weekend and Black Friday mania grabbing hold both here in Canada and the U.S. I’ve come across some great photo deals that I wanted to share with all of you. Updated with a new deal from Dreamscapes. See below. All Presets, Tutorials and eBooks will be marked down 35% regular price starting Wednesday November 26th to Monday December 1st. Trey Ratcliff is the one who started it all and his HDR Tutorial has just been revamped with 100% new content. In the first hour, you’ll know all the basics, and beyond that, you’ll learn an amazing collection of new tricks, workflow, and post-processing techniques that will give your photos a great and unique look. Excellent for any skill level, from beginner to advanced. In addition to this and other tutorials the Stuck in Customs store is a great resource for books as low as $4.97, textures and Lightroom presets. Check it out here. Everything in the store is 20% OFF starting today through the end of November. If you haven’t read Ian’s Chasing the Light, this is the perfect time to pick up a copy of this amazing book. If you’ve been following this blog then you know that I use Topaz Labs plug-ins in my workflow. From November 28th through December 1st, the good folks at Topaz Labs is offering the entire Topaz Photography Collection (all 15 products) for $249.99. Use the coupon code BLACKFRIDAY2014 at checkout. And don’t forget you can use the coupon code elphoto to get 15% of any individual product. Last and certainly not least from now until Dec 23rd take 20% all products in my gallery by using the coupon code Holiday2014. If you’re thinking of a unique gift why not give the gift of art.